Oh, Kavey, now I know who to turn to when I feel myself weakening! :D Thank you! Good for you re the magazines. I hope the withdrawal symptoms won't last too long! Wry and dry. Yup. You may just be my new best friend. :) Do you really eat that much marmalade? Somehow, when we travel, we eat homemade jams made with local berries, but at home. Never. Why is that? But, it is. 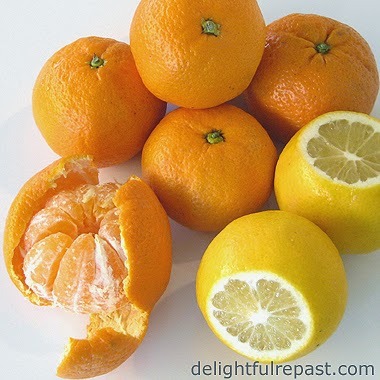 Now, I am on a quest for Seville Oranges as January is the month for marmalade. Why didn't you tell me sooner? Thanks, hungrywriter. I think I'm starting to get the shakes already! Aawww, thanks, Valerie! I hope you (and I) find some Sevilles. I wouldn't say I eat a huge amount of marmalade, but I do whittle away steadily at a jar. I've thousands of magazines too! I'm not ready to tackle them yet. So overwhelming! But I'll just focus on your marmalade... Which is making me hungry! Thank you, Nikki! I was just heading into the kitchen to have some sourdough toast and marmalade! I hope you'll make some soon. Good on biscuits, too. About the magazines, you definitely have to be feeling ready to tackle it, or you just spin your wheels. Let me know when the mood strikes you! Thanks, Amy. I hope you have a fabulous 2015. Fun post. I love marmalade but have never made it in spite of making all other kinds of jams and jellies. It is helpful to see your photo of cut up fruit to gauge sizes. Magazines are so addictive. I have about 10 years of Fine Cooking that I need to whittle down. But it's so hard! Lorrie, thanks! Yes, it is hard to get rid of those magazines. I tried many times over the years, but never managed to part with very many. But when the time was right, and I was ready, it was really quite easy. Thank you, Laura. Yes, I have to keep telling myself I'm giving away Mama's book (or whatever) but NOT the memories! Hi Jean and welcome to IMK. I used to be a magazine hoarder too, now I keep one small shelf for magazines because I can't go without altogether. If I want to keep one copy, one has to go! It's good discipline, but he downside is that I have a drawer overflowing with clippings, the next obsession to deal with! Good luck with letting go. The secret is to not look at them as they go- let them fly away without a passing glance. I also have too many magazines, but have also cancelled all subscriptions to food mags, largely becasue I find the level of advertising obnoxious. The old ones seemed to have a sensible ratio of ad to content. Sounds like you have a collection of magazines! We subscribed to Country magazine for a few years, saved all the magazines, and then let the subscription lapse. For quite some time we just read through old magazines we'd saved! Now we're subscribed again. Sandra, thank you! And I think I'll adopt your idea: Buy one magazine, let one go. It's what I do with everything else, so why not the magazines! Francesca, yes, I'm finding I'm getting more "brutal" as I go along -- at first, I was looking through each one! Thanks, Bethany. That's what I'm going to do. Once I'm past all this, I can subscribe to a magazine again! I can't seem to throw them out either. There is always a recipe that causes you to keep a whole magazine and then you put it on the bookshelf and dont get it back out till the next time you look and say "oh I love that recipe". I know.....I have started to get rid of all of mine too. It is a weight off your shoulders. good luck. it might take a few goes at it. Tania, thanks for the encouraging words! I never realized so many people had this problem. Happy New Year. Good luck with the whole purging of your magazine. I wish i had the self-discipline to do the same - one day may be! I also have quite a bit of kitchen items going to charity this month, had to make room for my new goodies I received as gifts. As for the magazines, I completely understand. My husband has a National Geographic collection I would love for him to get rid of, it dates back to the 1940s I think. He did at least let his subscription lapse a couple years ago. Good luck to you and Happy New Year! Gretchen thank you for the encouragement. Like you, my husband will be glad to see the last of my stash go out the door! Jean, I seldom read magazines at all anymore, and when I do, they are usually picked up at the grocery check out line. But there is nothing in them but ads anymore. I can't believe you are introvert. You do such a great job of writing your blog. Hi Jean, lovely to 'meet' you... and welcome to the IMK community! 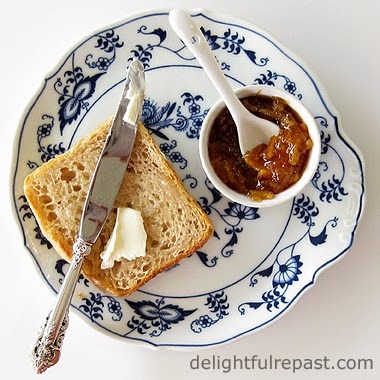 Your marmalade looks and sounds exquisite! That is one thing I have yet to master! Happy cooking and thanks for the peek into your kitchen. Linda Kay, thank you so much! I've sure been enjoying *your* blog. And I think you've got the right idea about magazines. Maybe I'll try just picking one up at the grocery store once in a while. Thanks, Liz, lovely to "meet" you, too! Let me know when you make some marmalade. I want to hear all about it! Celia, thank you. I've got a lot of catching up to do at Fig Jam and Lime Cordial. Looking forward to it! Thanks, Nicole! I am looking forward to "new adventures." Maybe marmalade will be one of *yours* this year. Hope you have a fabulous 2015! More than 1000 magazines...o my..your office must be really big. Have fun with reorganizing, Jean! ATMT, great idea! If there isn't such a group as Magazines Anonymous, I should start one! Liz, as much as I like eating marmalade, the making of it is what I like best; so I understand! Must try lime sometime soon. Thank you so much, Donna! I'm looking forward to visiting TBH; loved the few posts I've read so far. Hate to sound like a dinosaur, but I do not yet own an iPad or other tablet. When I get one, I think I'll follow your example and get my magazines online. Sheila, thank you. And thank you for the story! I love history, particularly British history, and I had never heard about this. Your grandmother's crabapple jelly sounds delightful! If I didn’t like marmalade, I’d still love the word itself. That alone is enough to get me to put it on a toasted English muffin or raisin toast – toast makes my exceptions list for eating bread. As far as that backlog of magazines, consider the collector’s value and you may pay for all the subscriptions past and future. Amazing what people buy and collect. Just Google an issue of something you think might be valuable and see what you come up with. Tut-tut, no finder’s fee necessary for me…well, OK, save me a spoonful of marmalade from your last batch. Thanks for visiting Thinking About Home and leaving your kind and encouraging words! Sully, thanks for the tip. But if I got into selling these things, it would slow me down! I feel like I have to clear it out before my fire goes out! Mr Delightful loves his toast, too, so I've got another loaf of sourdough rising on the counter. This post makes me think of Paddington Bear! Thank you, PP! Much appreciated! I think comfort food is the only way to go -- families can't bond over a fussy plate of trendy nonsense. Welcome to IMK posting - and thanks for the peak into your kitchen :) As a fellow introvert I relate to the need for a lie down with a good cup of tea, and think I'd rather like to pair that combination with some of your marmalade on toast too. It looks great! I also had to click through to see what English muffin toasting bread is, and am utterly intrigued with the notion. Kari, thank you so much! I hope you'll be a regular visitor now. You can tell already, I'm sure, that I'm a breadaholic! Your kitchen looks really bright and tasty! Thanks, Greg! I do love my butter yellow walls. And butter! I'm with you on the magazines but I did that cleanout last year. It's really difficult because I know when I toss them out, I'm going to want one of them. I found I wasn't going back through them because I just didn't have time. They went to a good home. I love your marmalade fixings in the pan. I haven't made marmalade for nearly a year so I think it's time for me too. Maureen, thanks. I'm so glad to learn I'm not the only one who collects too many magazines. I hope once I'm done, I can "stay clean"! Have fun making marmalade! You had me at sourdough....I have pinned it...our cat keeps us busy. But I love sourdough!! Jen, you sound like us! Mr Delightful and I love cats and sourdough! Thanks for the comment and Pin! Hi Jean! Welcome to IMK! I loved your first post - as a marmalade lover you had me right there! I am going to have to follow your lead this year and send my many magazines to op shop heaven! I just find it so hard to part with them!!! Happy New Year! Marian, thank you. I know we'll feel better when we do! :D I'm tearing my hair out today trying to figure out what to do with all the pages I've torn out. Sheesh! Jean, I can so relate to the magazines. I hazard a guess of how many I have! I even have a US mailbox (I'm in Oz) to get a couple of US mag subs (they are so cheap!). We have a charity bookfair (Lifeline) every quarter and I stock up when I can on overseas mags. I too have retreated on the number of subs I have, and am concentrating on only a few, SBS TV's 'Feast' is a good one. Your marmalade looks lip schmackingly good! Welcome to IMK! Thanks so much, Kirsty! I appreciate the encouraging words. Happy January to you! It feels good to clean out clutter. My problem is all the pages I've torn out from magazines which are in boxes in my office. Every once in a while I will go through them (it's almost like reading a magazine) and throw out the ones that are no longer of interest. But I don't do it often enough. 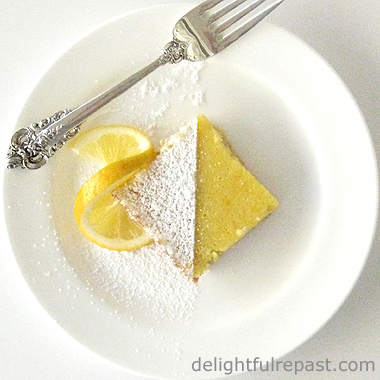 It's a trip down memory lane to see a recipe I used to make. A history of time in the kitchen. Blogging is beginning to serve the same purpose although I am new to it. Great blog you have. Thanks so much, Liz! I've come up with a huge pile of torn-out pages, so now I have to hit that before I lose momentum! I'm determined to never let this happen again! Hi Jean, what a lovely first IMK! 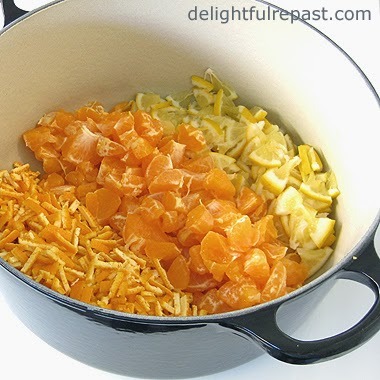 I must admit I've never been a fan of marmalade but the colours in your photo make me want to try it again. Jason, thank you for the welcome! But I wish you hadn't said "sourdough English muffins" -- now I'm craving them! Made pizza with sourdough crust this evening. I'll remember, Don't Boil the Sauce! Oh, Lorraine, how I love apricot jam. And I don't make it as often as I'd like because some summers I manage to get only enough to eat fresh (which I also love). I'll be enjoying summer early at NQN! I've recently discovered the joys of making (and eating!) sourdough and I am absolutely hooked! yes i stopped subscribing to mags some years ago as i just couldn't justify the price and there was nowhere for them to live. Thanks, Sherry. My problem is people want to send me subscriptions for very low cost -- so it's like "I can't afford NOT to subscribe!" But you've got the right idea, no doubt. I'm going to remember your "nowhere for them to live." Happy New Year Jean --- all your gorgeous marmalades are giving me the jam making itch! Thanks, Sue! I hope you have a wonderful 2015! I can't wait until summer to make some apricot jam. Jean, hello! What a great post! Good for you for letting things go. I always do "The Great Tidy after the holidays and organize everything for the new year. The thing about magazines, and even cookbooks, is that I often would end up googling the recipe online. I just got passed on about two hundred books after my office remodel. Now I have space for new books and new ideas. Marilyn, thank you! And well put! That's exactly how I feel, that I now have "space for new books and new ideas." Ooh I'm a bit of a magazine addict too. I think I have Ideal Home from 1987 and Home Beautiful from the 70s. Once you have had them this long its very difficult to part with them. 2014 saw very little magazine buying (there are only so many you can house) I am now into borrowing so that I can return them to their owner after thoroughly read from cover to cover. Grapefruit marmalade is definitely on the cards in January. Mmm ... grapefruit marmalade! Yes! Glad I'm not the only magazine addict, but I like your idea of borrowing. AND my local library has a great selection of magazines; why don't I check one out from time to time! I hoard old magazines too ... I had a complete set of UK Country Living going back to '92 ... like you, I'm letting them go, it feels quite liberating! Annie, thank you so much! That's exactly the word -- liberating! I've still a ways to go, but I'm feeling so much freer already. I do love a good home made marmalade! The smell fills the house with the most amazing aromas, doesn't it? Thanks, Ania! Yes, I love the aroma that wafts throughout the house on marmalade day! 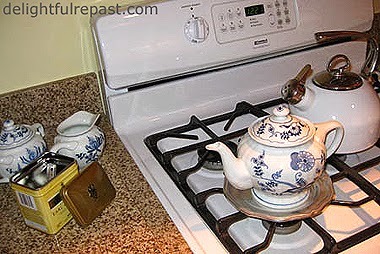 That teapot is just one of many -- I have a LOT of teapots. Oh it does, Deb! And I have fragrance and chemical sensitivity/allergy, so when I need an air freshener I just boil up some citrus and spices. Tandy, glad to meet you, too! Yep, it's been quite a job; I will *never* accumulate magazines again!